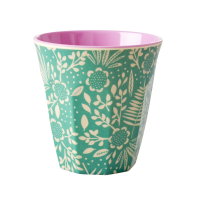 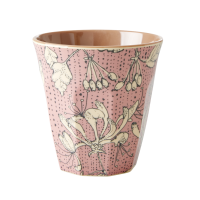 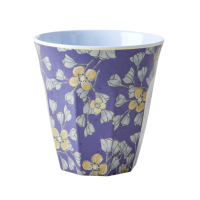 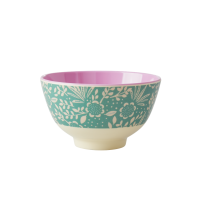 Hanging Flower print small melamine bowl by Rice DK. 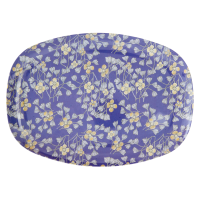 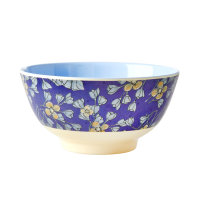 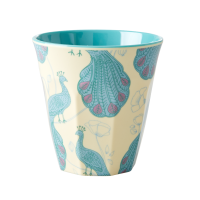 This pretty two tone blue and purple print melamine small bowl is a perfect size for a child, or you for your breakfast yoguart, or prehaps a side salad at supper time or even just for a bowl of nuts! 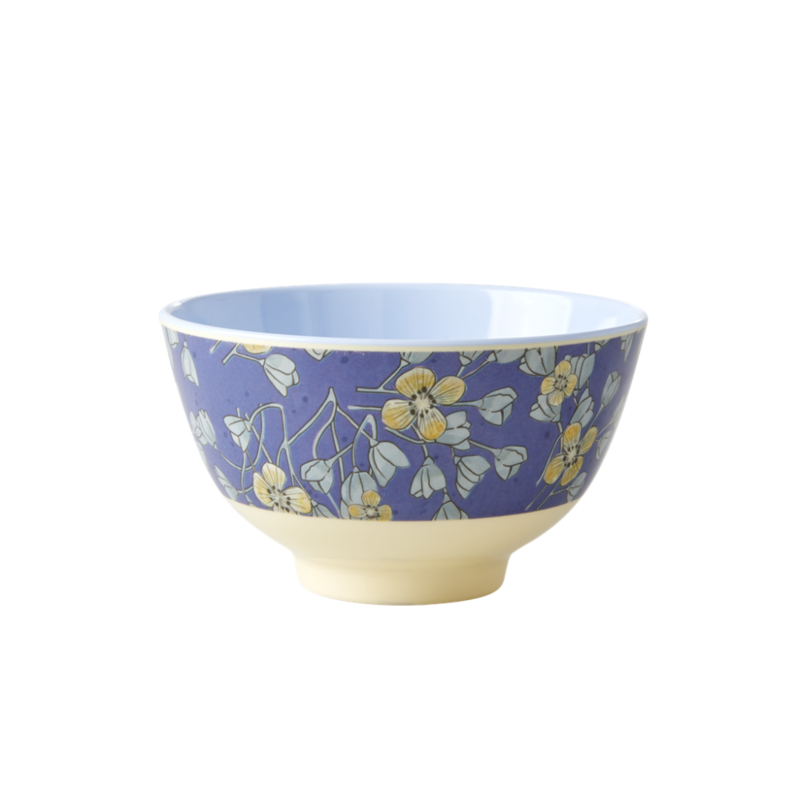 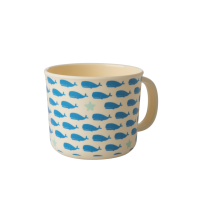 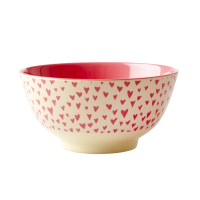 A really useful bowl, that has a matching cup and rectangular plate.